"Thanks to Ofer Shmucher my bankruptcy process was resolved expertly and quickly. Ofer’s knowledge and experience kept me informed, educated and prepared. 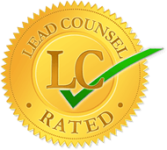 I am happy with the results, I would definitely recommend him to anyone needing a lawyer." "Mr. Shmucher was incredibly helpful in educating me through the process of filing my bankruptcy. His experience and patience was instrumental in having my bankruptcy proceed flawlessly. He was always available for questions and any concerns I had during this very stressful process. I am very happy that our paths crossed and he represented me like a true professional." "Awesome Attorney! Answered all our questions quickly and provided a great deal of calm in the whole bankruptcy process. 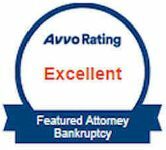 We couldn’t recommend a better person or lawyer to handle your bankruptcy!" Shmucher Law, PL provides affordable representation for clients wishing to obtain a financial fresh start. The bankruptcy attorney at Shmucher Law, PL has assisted hundreds of individuals and corporations with debt issues foreclosures, wage garnishments, bank account garnishments, repossessions, creditor harassment, and loan modifications. 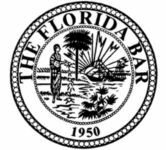 We can help debtors file for either Chapter 7 or Chapter 13 bankruptcy throughout South Florida. We also offer our assistance in non-bankruptcy workouts to help debtors negotiate with their creditors. If you are currently in a financial situation needing professional representation then please give our office a call. When you contact our Miami Bankruptcy lawyer at Shmucher Law, PL you will have the opportunity to meet with an experienced bankruptcy attorney to help you determine whether bankruptcy is a viable option for you. While every debtor’s case is unique we try to provide both bankruptcy and non-bankruptcy custom plans to suit your current situation. Our consultations are always free of charge. Filing a Chapter 7 bankruptcy allows the debtor to obtain a fresh start in a relatively short period of time. A debtor can usually obtain a discharge of their debts within approximately 100 days. Debtors must qualify to file for Chapter 7 and an asset evaluation must be used to determine whether or not the debtor will be able to keep or protect all their assets. 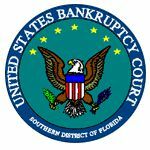 A Chapter 13 bankruptcy gives the debtor benefits that are not allowed in Chapter 7 including the ability play catch up on secured debts including mortgages or cars and the ability to strip off junior liens such as second mortgages or owed condo association dues. 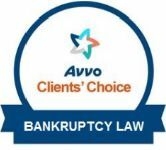 A typical Chapter 13 bankruptcy lasts between three to five years and the debtor will have to make monthly payments pursuant to their repayment plan.